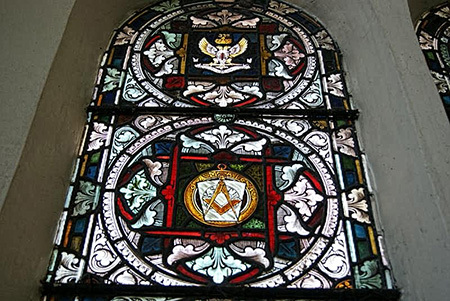 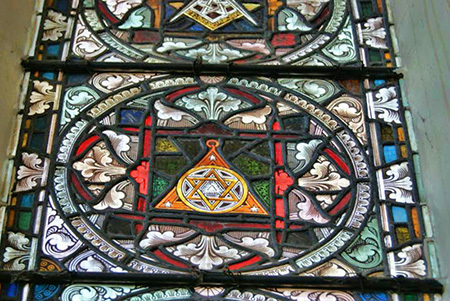 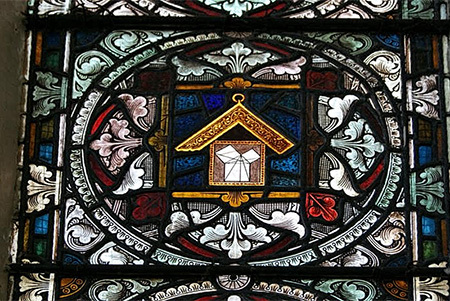 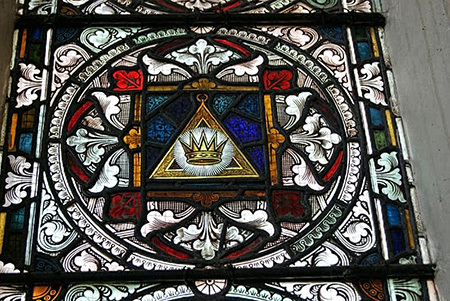 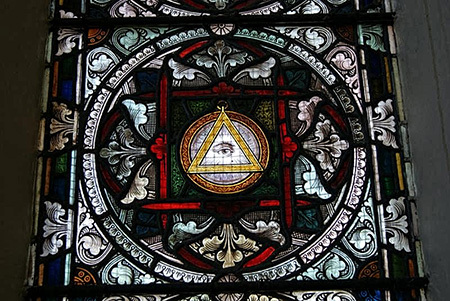 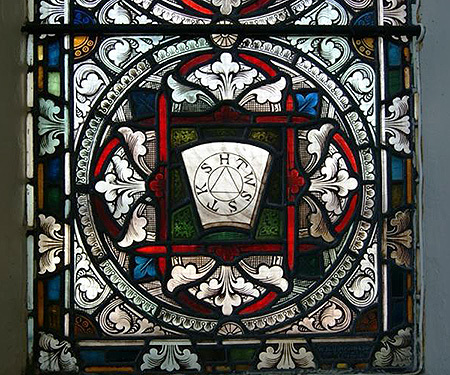 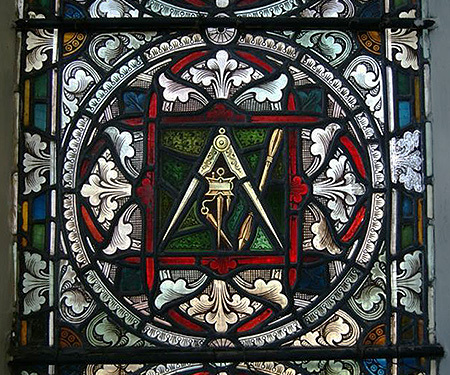 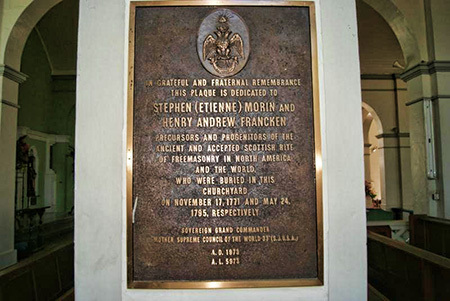 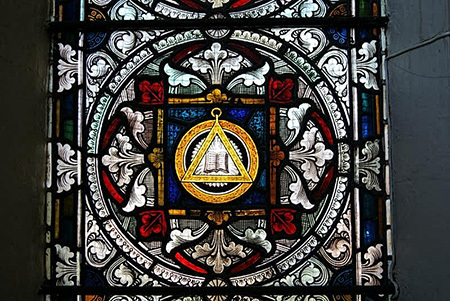 These windows were erected in memory of RW Bro Robert Hamilton, the first District Grand Master of the Craft in Jamaica who was also District Grand Master of the Mark and Most Excellent Grand Superintendent of the Royal Arch. 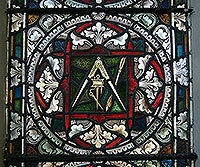 He was also Grand Secretary General of the Supreme Council in England. 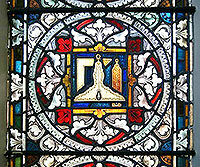 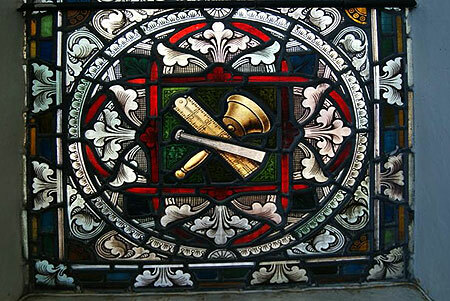 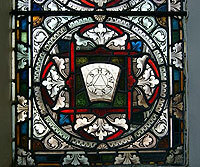 His many offices are reflected in the emblems of the various Orders in the windows. 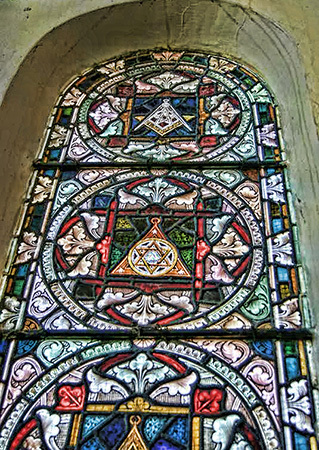 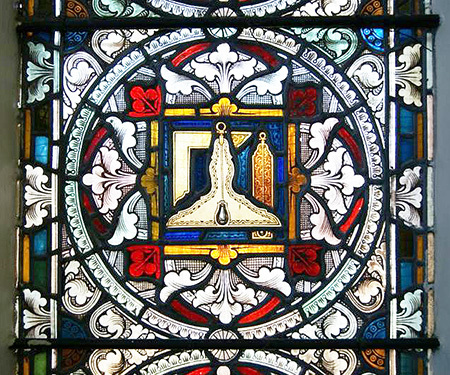 The windows are known as the "Hamilton Windows". 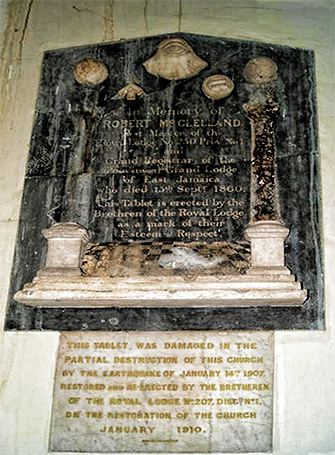 Plaque in memory of Robert McClelland.